Where do I use my E Cigarette Direct voucher code? Choose a code you would like to use, copy it and follow our link to E-Cigarette Direct. View the product you would like to buy, choose any options and click ‘Add to Basket’. When you are ready to checkout click the ‘Review Basket & Checkout Securely’ button. Underneath your order summary, you will see a button ‘Got a Voucher?’, click it and a discount code box will appear. Enter your coupon code into the box and press ‘Apply Voucher’. Your order total will now update with your discount. Click ‘Checkout Securely Now’ to finalise your order. "Visit the Ashtray Blog and hang around for a while and you will be offered £5 off your first order." At ECigaretteDirect they only sell e-liquids that are fully tested for impurities like diacetyl. 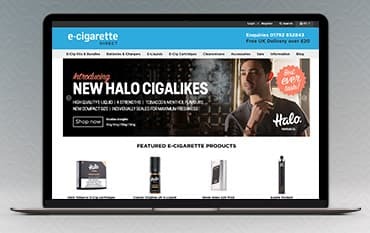 Their own brand range, Halo Vapour Co., is manufactured in the UK from finest quality ingredients, which have been sourced in the EU whenever possible and only the best pharmaceutical grade nicotine is used. Their products are tested in a UK, government-approved laboratory. Shop here for E-Cig Kits & Bundles, E-Liquids, E-Cig Cartridges, Clearomisers and related Accessories. They offer free delivery for a minimum spend and their Sale section offers fantastic value. How are your delivery options? You have 14 days to return your goods to E-cigarette Direct for a full refund. There are a lot of people who were able to break the habit of smoking with the help of vaping. This allows you to enjoy the relaxing and comforting effects of smoking without the hazards to your health. You can find all e-cigarette kits and other essentials available through e Cigarette Direct. Make sure to save money by using one of our Discount Codes when shopping at E Cigarette Direct. E Cigarette Direct - or Smokers Angel, as they’re also known - stock a range of simple easy-to-use e-cigs that feature a simple two-part design, making them easy to ‘reload’ - simply unscrew the depleted cartridge, screw on a fresh one, and you’re ready to go. Far less costly than tobacco cigarettes in both the long and the short term, E Cigarette Direct starter packs include between 12 and 15 inhalations worth of traditional cigarette cartons and a 12-month replacement warranty, making them an excellent choice for anyone looking to make the switch.